Every girl loves to hear a good fairy tale that ends in happiness. Thanks to slot developers now you have fairy tales that end in more than just happiness for those who play the game. As you can find too many slot machines with fairy themes we decided to compile a list of top 5 games for your reference. RoseSlots staff selected the top rated games, played them extensively, and then shortlisted the best out of them based on many factors such as the rewards, features, and entertainment value. Player comments were also a major factor in deciding the final list of top 5 fairy tale slot games to play on RoseSlots. The elusive creature appears here with invaluable treasure. Unicorn Legend slot game has 5 reels and 3 rows of symbols that pay across 25 generous paylines at an RTP of 95.4% but if you look deep into the features you will find that there’s much more. In the base game a max multiplier of 2000x will greet you on your lucky day, while 20 Free Games will add more value to your bets. And the Wilds will see that your chances of winning multiply. 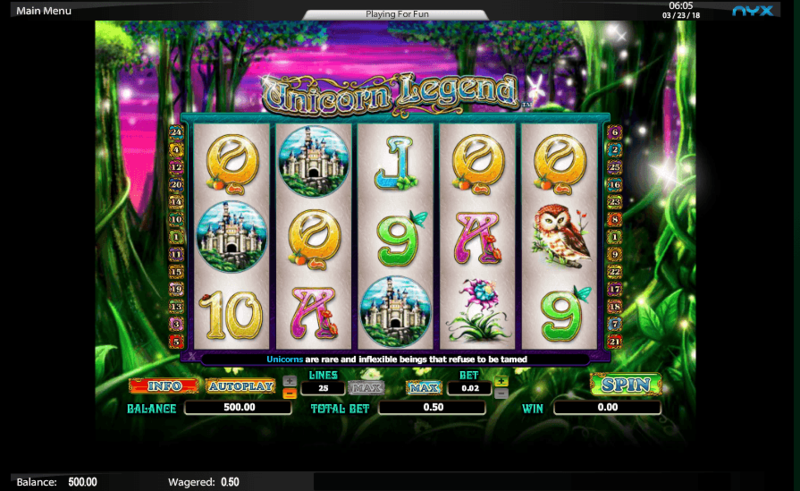 Unicorn Legend Slot by NextGen deserves a place in our list of top fairy tale slots to play on RoseSlots. Here is the old story with new prizes that would make RoseSlots girls rich in real life. The RTP is 96.3% which could be called above average while 20 paylines create winning combinations. Walking Wilds is a new kind of Wild which appears on the leftmost reel and starts moving to the right creating fabulous wins. There are Free Spins and Respins to add more value to your stakes. But the Treasure Collection bonus game could bring giant rewards which are not just a fairy tale. 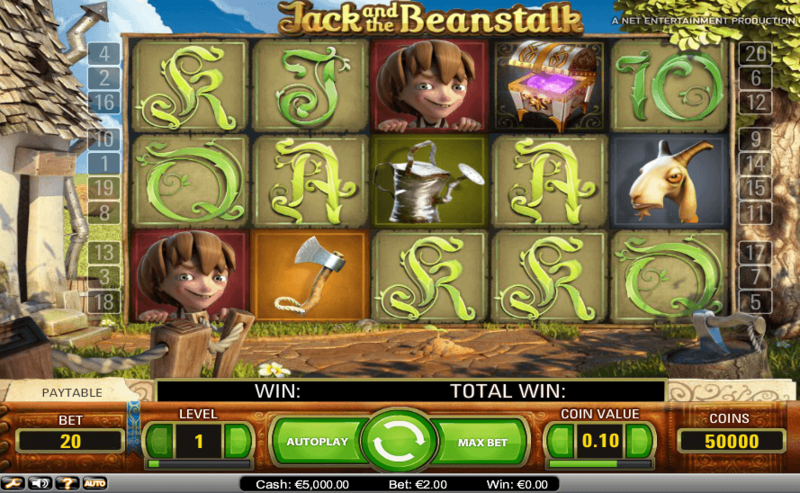 Jack and the Beanstalk slot is one of the most popular slots among those who love fairy tale slot machines. Based on the famous tale from the Arabian Nights, this beautifully crafted cartoon style slot machine offers you to win all of Ali Baba’s treasure at a generous RTP of 96.59%. The Wild is a beautiful dame who helps you win big, and the Scatter awards you Free Spins and a prize of its own. The Gold or Bandit Bonus offers you 3 jars to select from, and your selection will reveal a random prize. Open Sesame Free Spins gives you even more chances of winning at no extra cost. Ali Baba slot game definitely is one of the best fairy tale slot games to play online. With an excellent RTP of 96.478%, winning the gold here is not totally up to your luck. There are 5 reels and 3 rows of symbols that create winning combinations on 25 paylines. The colourful symbols have some animations too to add fun, and the Free Spins are played on special reels. At the beginning of Free Spins 2 Wilds are added, and before every other Free Spin 2 more Wilds will be added. All those Wilds will remain on reels the whole duration of your Free Spins. In Dwarven Gold Deluxe slot base game too there is a Wild symbol. 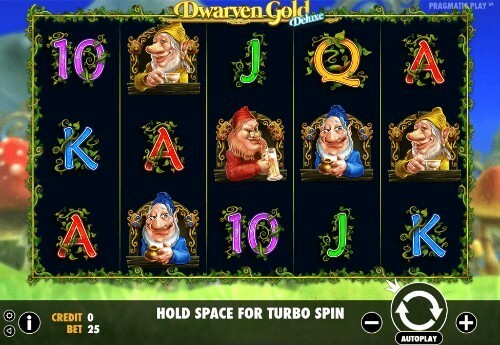 We added this to our list of top 5 fairy tale slot machines on RoseSlots. 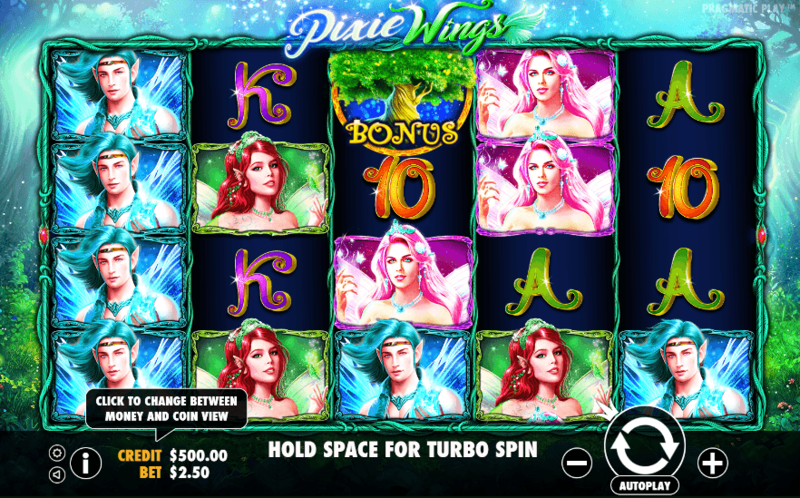 Pixie Wings online slot is a thing of beauty with its colourful full length fairies but the rewards are fascinating too. There are 50 paylines that reward you at a generous RTP of 96.51%, and you can bet from £0.50 up to £250 depending on whether it’s prizes or fun you are looking for. The Wild is the substitute but it also carries its own prizes too. The Scatter offers you Free Symbols for which you can select a Super Stacked symbol of your choice. This is one of the best fairy tale slots to play on RoseSlots.